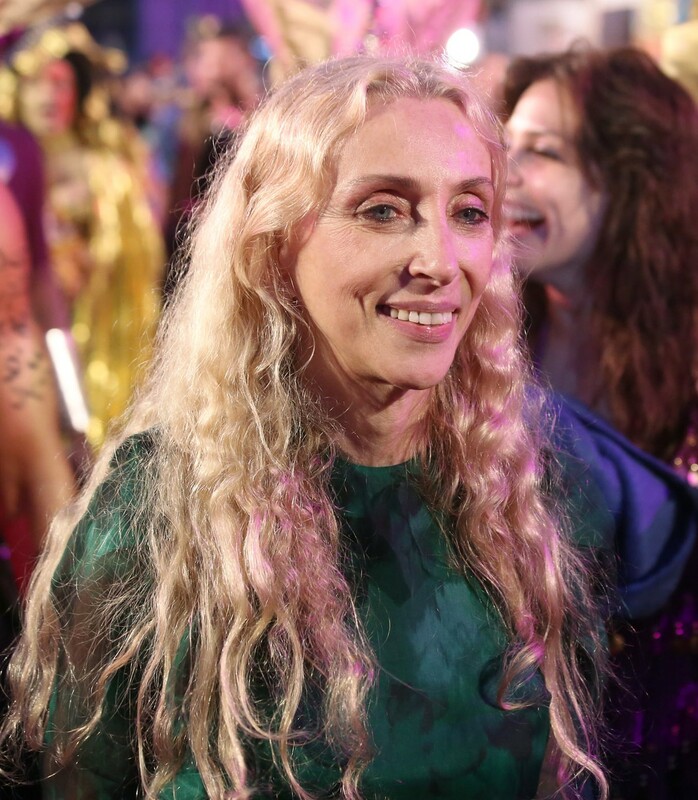 Franca Sozzani, the journalist who was editor-in-chief of the Italian edition of Vogue magazine for 28 years, was born on this day in 1950 in Mantua. 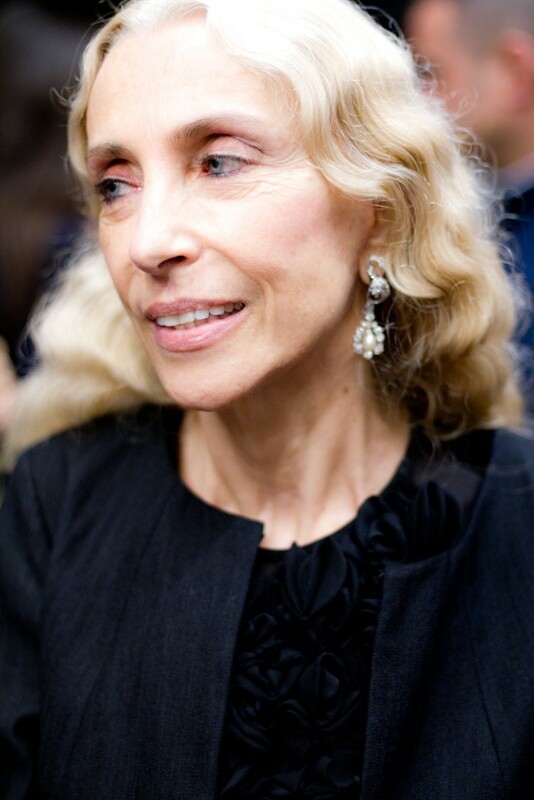 Under her stewardship, Vogue Italia was transformed from what she saw as little more than a characterless clothing catalogue for the Milan fashion giants to one of the edgiest publications the style shelves of the newsstands had ever seen. Sozzani used high-end fashion and the catwalk stars to make bold and sometimes outrageous statements on the world issues she cared about, creating shockwaves through the industry but often selling so many copies that editions sometimes sold out even on second or third reprints. It meant that advertisers who backed off in horror in the early days of her tenure clamoured to buy space again, particularly when the magazine began to attract a following even outside Italy. She gave photographers and stylists a level of creative freedom they enjoyed nowhere else, encouraging them to express themselves through their photoshoots, particularly if they could deliver a message at the same time. She encouraged her writers, too, not to shy away from issues she thought were important, and not to regard fashion as an insular world. 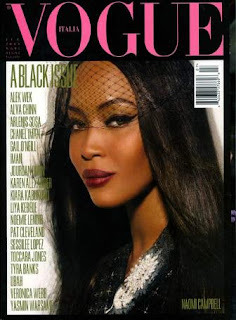 Among the most famous editions of the magazine were those that drew attention to broad topics such as drug abuse and rehab, domestic abuse and plastic surgery, and specific issues such as the Gulf of Mexico oil spill of 2010 and America’s election of a first black president, which she marked with an edition in which all of the models used were non-white. The work they did for her advanced the careers of many photographers, including Peter Lindbergh, Paolo Roversi, Bruce Weber and Steven Meisel, whose elevation to star status in magazine photography owed almost everything to her guidance and nurture. Sozzani wanted her readers to think about issues, even to disturb them, and she sometimes attracted criticism. For instance, when she had the model Kristin McMenamy photographed covered in oil, as a stricken bird of paradise, in response to the Gulf oil spill, it was seen as insensitive. Her response was to say that if you wanted to take risks, as she did, then you should expect people to make judgments, good or bad. 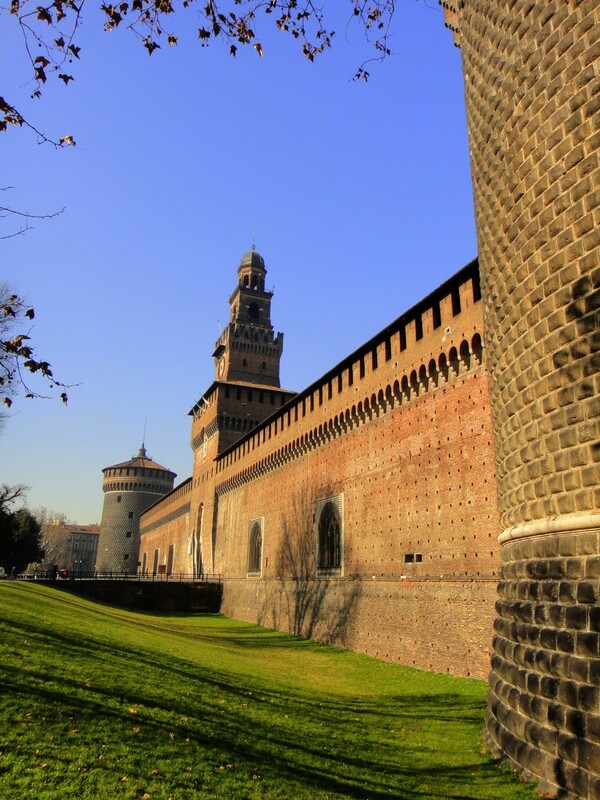 Brought up in a comfortable environment in Mantua, the historic and prosperous city in Lombardy where her father, Gilberto, was an engineer, Sozzani might never have followed the career path that was to unfold in front of her had her father not talked to her about the virtues of getting a steady job. She attended convent schools and then the Catholic University of the Sacred Heart in Milan, where she graduated in literature and philosophy, following her free spirited nature by getting married at the age of 20 and then going travelling in London and India. The marriage collapsed after just three months, after which she sought to convince her father that she could take a long-term view of her future and took a job as a secretary at Condé-Nast, the magazine publishing company. From there in 1976 she became an editorial assistant on the company’s Vogue Bambini title and gradually worked her way up the production ladder. This in time led to the editorship in 1980 of a new Italian magazine, Lei, which was the Italian equivalent of Glamour, and two years later its sister title aimed at the male market, Per Lui. It was while working for those magazines that she began to use photographers such as Weber and Meisel and Olivieri Toscani, who had much to do with the multicultural and socially aware advertising campaigns followed by Italy’s trendsetting Benetton company. The two titles remained her focus until the late 80s, at which point she felt she had taken both as far as she could and was prepared to move on, only for Condé-Nast to realise the talent they were about to lose and gave her Vogue Italia, which lagged the British, American and French versions of the magazines in sales and prestige and needed freshening up. No one was better suited to create an identity for Vogue Italia than Sozzani, whose vision from the outset was that where Vogue in the UK was about elegance and romance, in the US about glossy celebrity and the French version intellectual chic, her readers would understand that each edition of Vogue Italia would say something about the world, in words but sometimes only in images. Her own attitude to fashion helped shape her editorial policy. She thought many aspects of the fashion world were ridiculous and in her own day-to-day life favoured clothes that were easy to wear, elegant but understated. After her first misadventure, Sozzani never married again, and managed to keep subsequent relationships largely out of the spotlight. One of them produced a son, Francesco Carrozzini, who was born in 1982. She died in 2016 after a long illness, at the age of 66. Mantua, where Franca Sozzani was born, is an atmospheric old city in Lombardy, about 180km (112 miles) to the south east of Milan, surrounded on three sides by a broad stretch of the Mincio river, which has always limited its growth, making it an easy place for tourists to look round. At the Renaissance heart of the city is Piazza Mantegna, where the 15th century Basilica of Sant’Andrea houses the tomb of the artist, Andrea Mantegna. Vogue Italia’s headquarters are in Milan in Piazza Castello, the horseshoe-shaped piazza that wraps around the city’s impressive Castello Sforzesco – the Sforza Castle – which was built in the 15th century by Francesco Sforza, Duke of Milan on the site of a fortification erected in the previous century by another Milanese warlord, Galeazzo II Visconti. 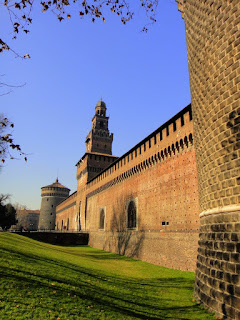 One of the largest citadels in Europe, it has a central tower, the Torre del Filarate, that climbs to 70m (230ft) in height, while each of the four walls is more than 180m (590ft) long. 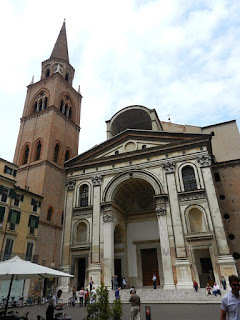 At the end of the 15th century, Ludovico Sforza commissioned artists including Bramante and Leonardo da Vinci to improve the interior decoration and they painted several notable frescoes.